Today, a milestone as the first R.U.M. 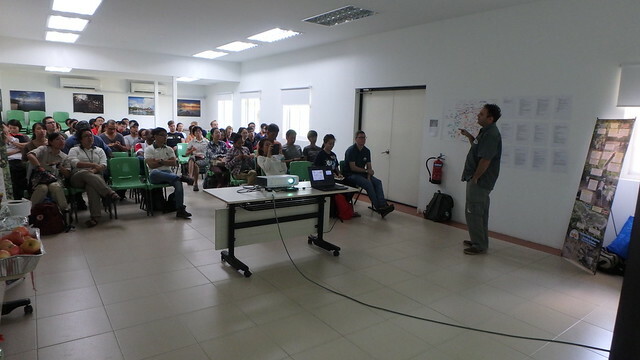 Scientific Workshop was held. 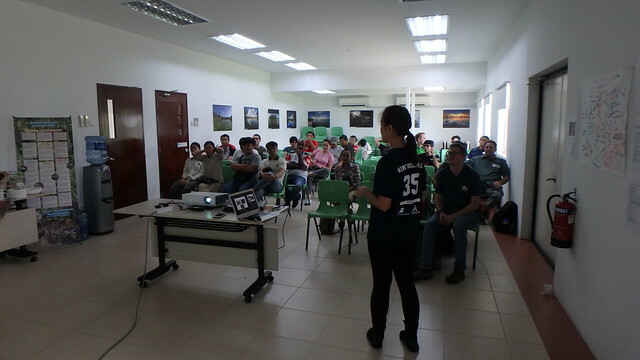 Thanks to NParks for hosting the Workshop and to the more than 30 people who participated! As well as the R.U.M. team who turned up to support. 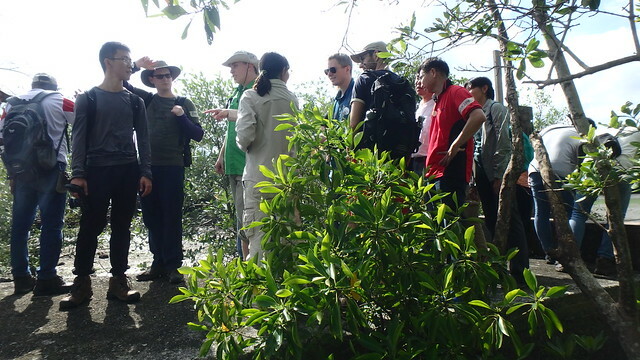 We spent Day 1 learning from mangrove experts, and visiting R.U.M. sites. We are excited for Day 2 when we will do restoration design! 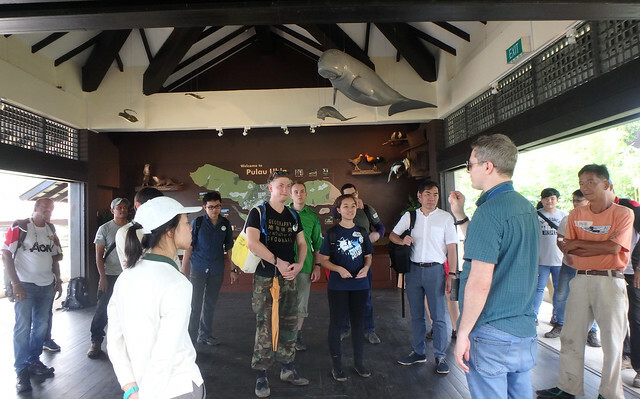 The morning began with a great introduction by Sunshine Sim of NParks who hosted us at their Ubin Living Lab. 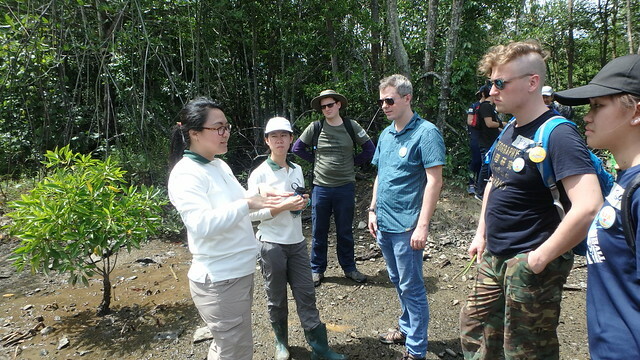 Then Ms Yang Shufen of Sungei Buloh Wetland Reserve shared her long experience in mangrove restoration at various sites in Singapore. Much to learn from the many bold steps taken. 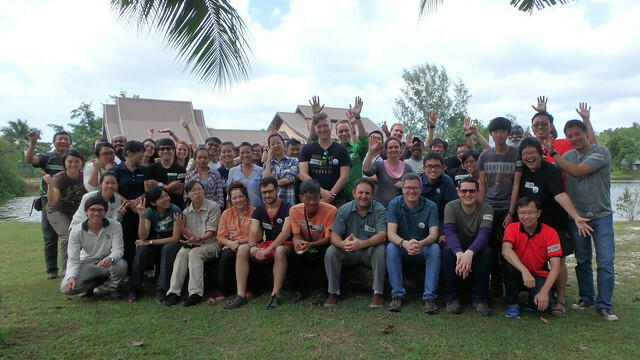 We are honoured to have with us Mr Ben Brown (Co-founder of Blue Forests), the pioneer of Ecological Mangrove Restoration (EMR) in Asia. 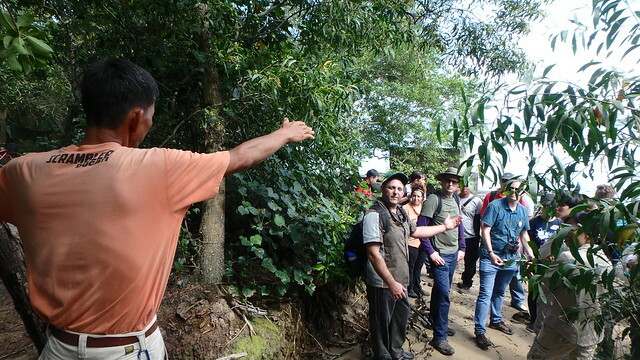 He shared many stories of restoration success and failures. 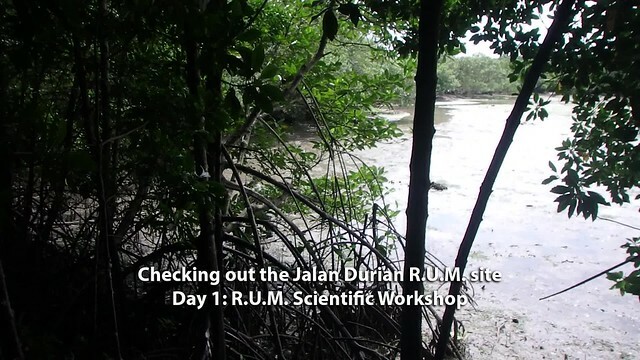 Then Prof Dan Friess of the National University of Singapore shared the scientific work done by the Mangrove Lab team to map and document the R.U.M. sites. And highlighted some of their interesting findings. 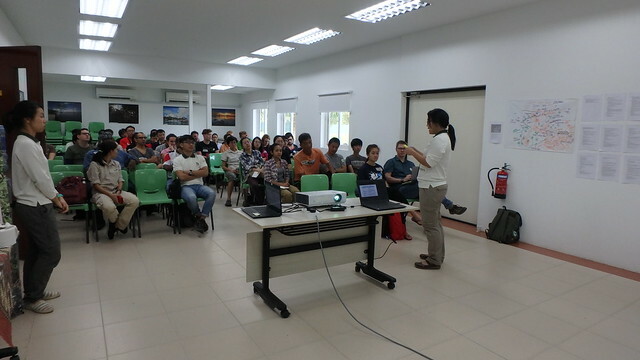 After lunch, Tessa Liu shared her work done to gather views of Ubin villagers, of the public via the online survey form, and at the recent youth Mangroovy Mangroves Workshop. 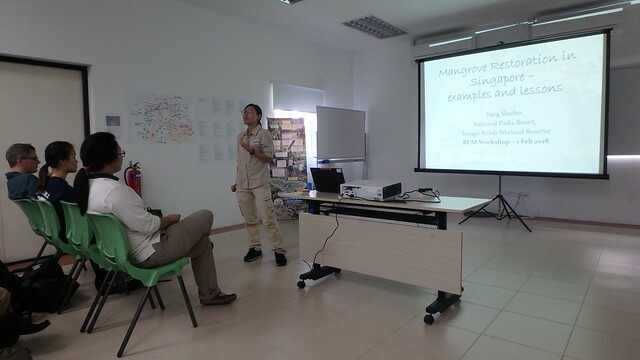 She also updated on all the other outreach work done: mangrove clean ups, monthly walks, and more! 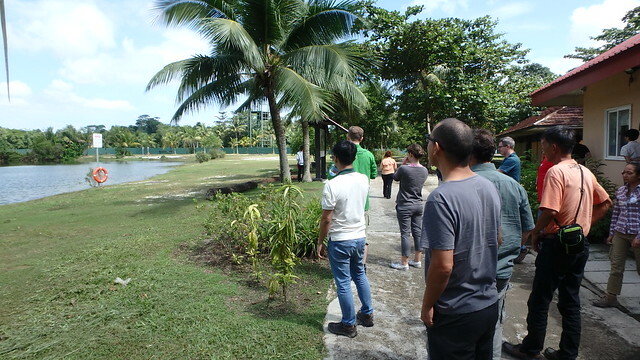 During the break, we admired the otters that stopped by to have a good rub at the sandy area in the far corner of the Ubin Living Lab. It was then time to have a look at some of the awesome mangroves and mangrove work done at Pulau Ubin. 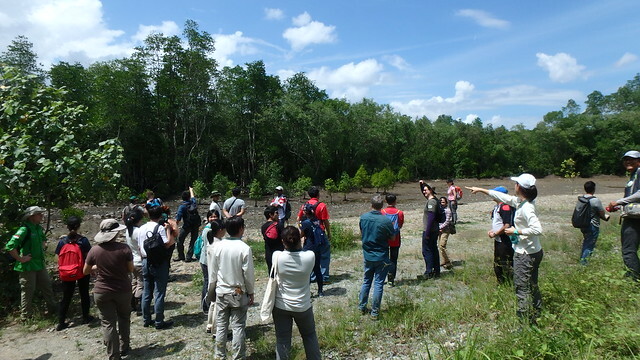 Germaine Leng points out some mangrove restoration work being done by NParks at Sungei Puaka. 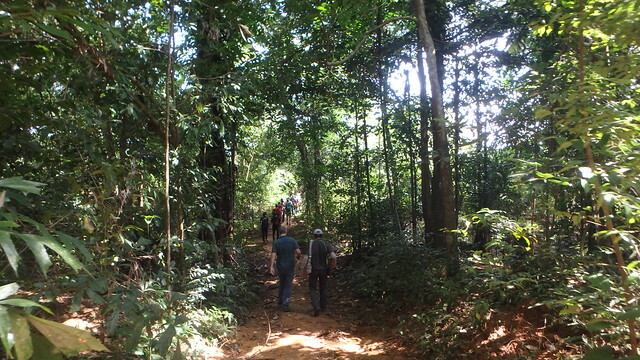 Sunshine shares more about NParks work being done here. 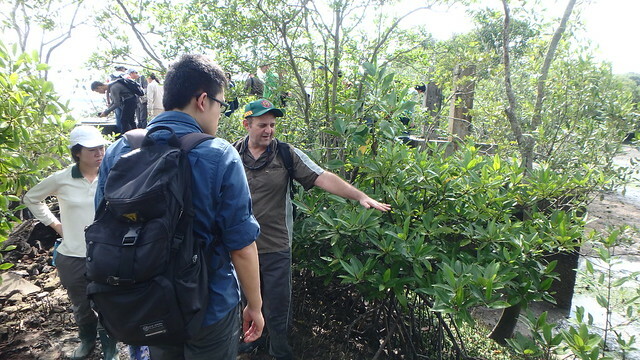 Prof Dan then shows us a mature mangrove forest nearby. This is what we are aiming for in our restoration! 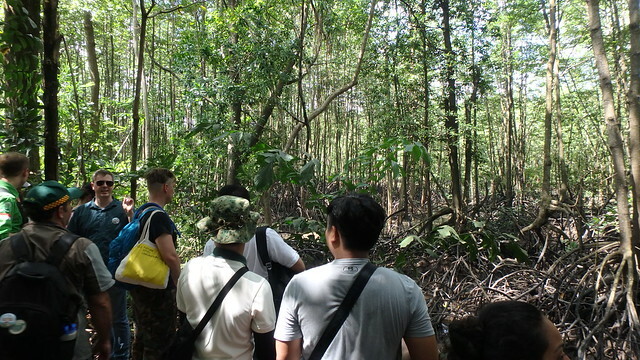 We then visit the actual restoration site at Jalan Durian. 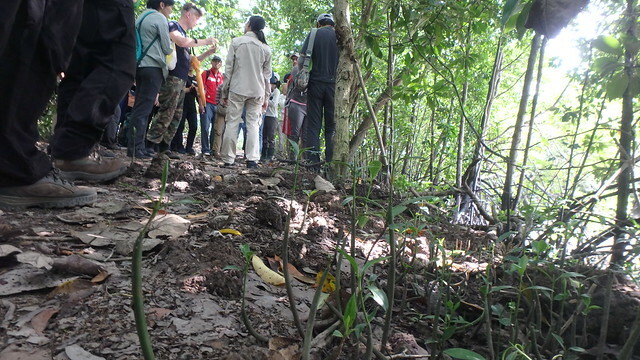 Mangrove saplings will sprout wherever the conditions are right! 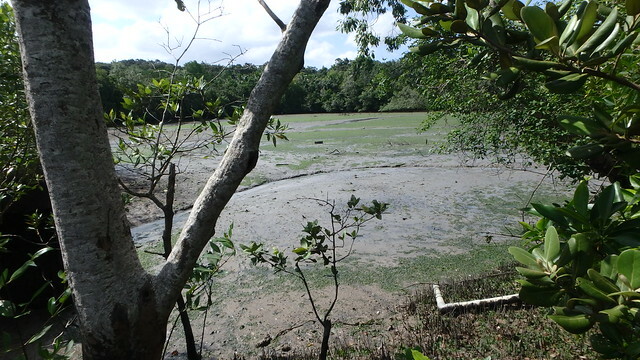 But no mangroves are growing in the abandoned aquaculture pond! We need to fix the elevation and other ground conditions before Mother Nature can do the planting! Prof Dan starts a discussion on how breaks in the bund should be dealt with. Ben Brown discusses finer points of restoration options. Philip Lim of Sea Angels highlights the importance of using local materials to avoid contamination. Jared Moore shares his experiences mapping the ponds. 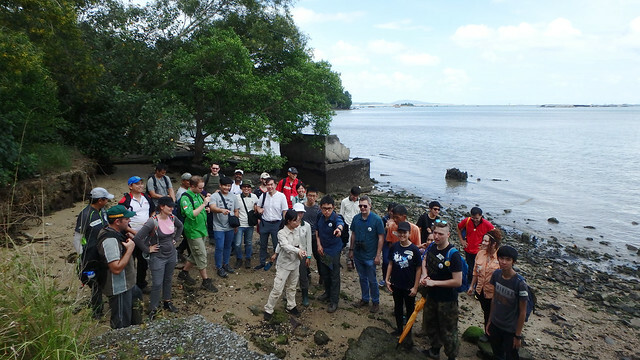 The group discusses erosion on the shore and options to deal with it. 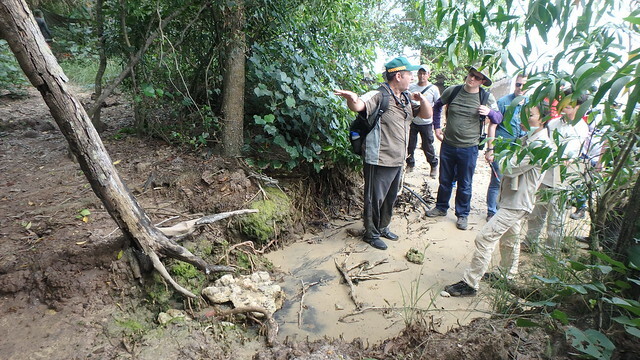 Ben Brown discusses the issue of grading the foreshore slope to mitigate erosion. Ben Brown goes right into the mud to check out the pond! All too soon, the day has ended. 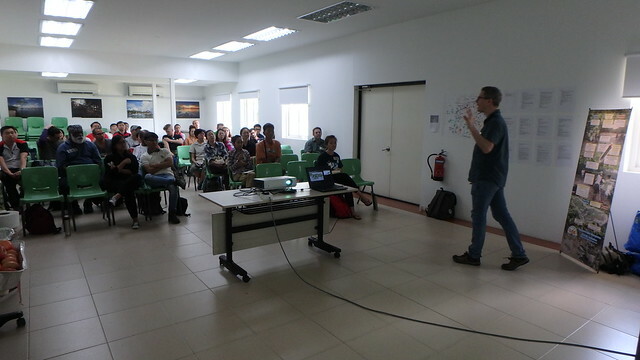 Under the gentle gaze of dugongs at the Nature Gallery, Prof Dan rounds up the discussion. 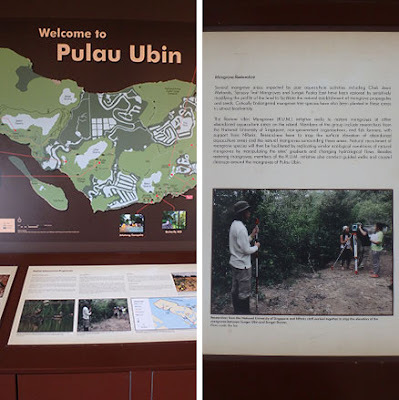 Wow, NParks has included a feature about R.U.M. at the Nature Gallery. Thank you! We will meet again tomorrow to continue the discussions! 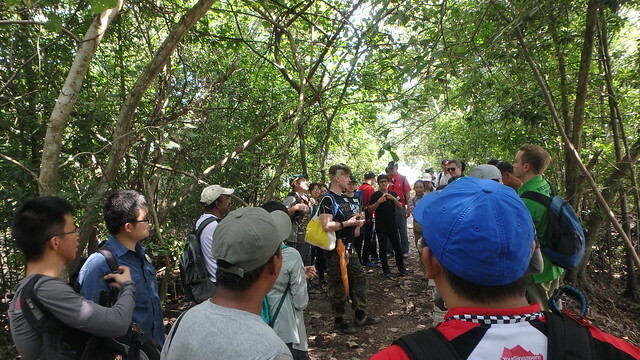 If you'd like to hear from Ben Brown yourself, come for his public talk on 3 Feb (Sat) at Sungei Buloh Wetland Reserve. More details.